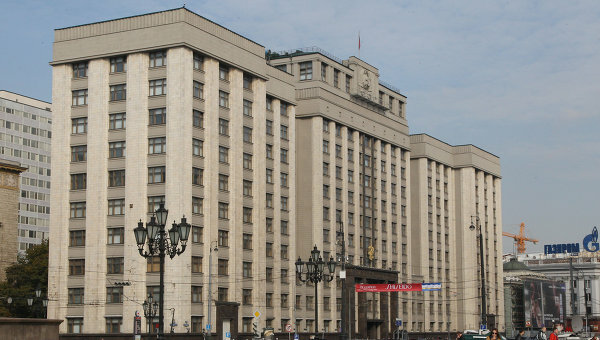 The controversial legislation that introduces tough penalties for offending believers’ feelings is set to come into force in July after State Duma Deputies approved a number of amendments to the bill. Hefty fines and possible prison sentences for offenders from Russia or abroad are included in the legislation, RIA-Novosti reported Tuesday. Deputies have supported the idea of introducing fines from 80,000 rubles to 300,000 rubles ($2,480 to $9,305) and a prison term of up to three months for hindering the activities of religious organizations and preventing religious rites. If the criminal act is committed by an official position or includes the threat of violence, the offender may face up to 12 months in prison. Additionally, offenders could be deprived of the right to hold certain positions or engage in certain activities for a term of up to two years. Publicly expressing clear disrespect to believers, including actions undertaken at places of worship, will be punishable by up to three years in prison, fines of up to 500,000 rubles, and compulsory correctional labor. A fine of over 200,000 rubles will be levied for deliberate destruction of religious or theological literature. The law is expected to be adopted fully in the second and third readings of the parliament’s lower house. The Duma had been forced to lower the stipulated fines and prison sentences in May due to mounting criticism from people who are concerned by the increasing clericalization of the Russia under Putin’s leadership. The bill was allegedly provoked by the all-female [deleted] punk band’s action in Moscow’s Christ our Savior Cathedral last year that outraged conservative-leaning segments of Russian society.